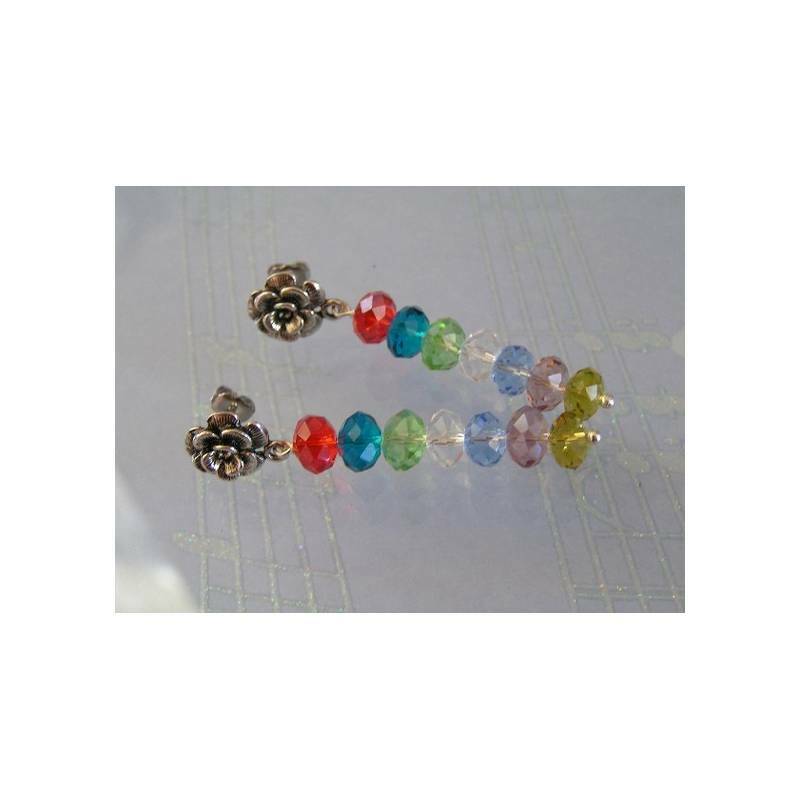 Full blown, unabashed bright and sparkling colour - that's what these earrings are about. 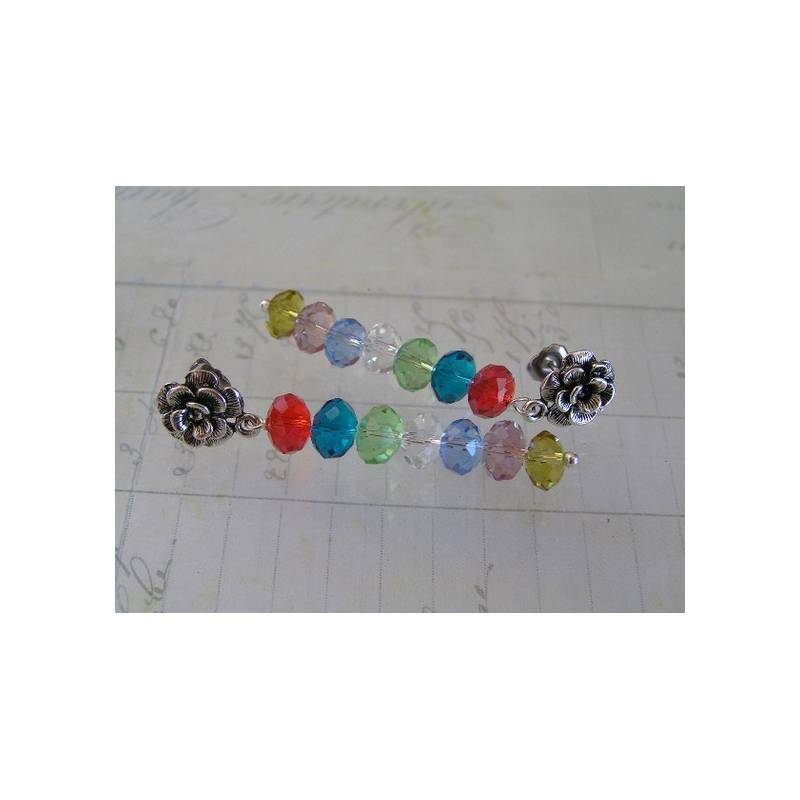 I have left the design simple, I wanted the precision faceted Czech crystals to do the talking. 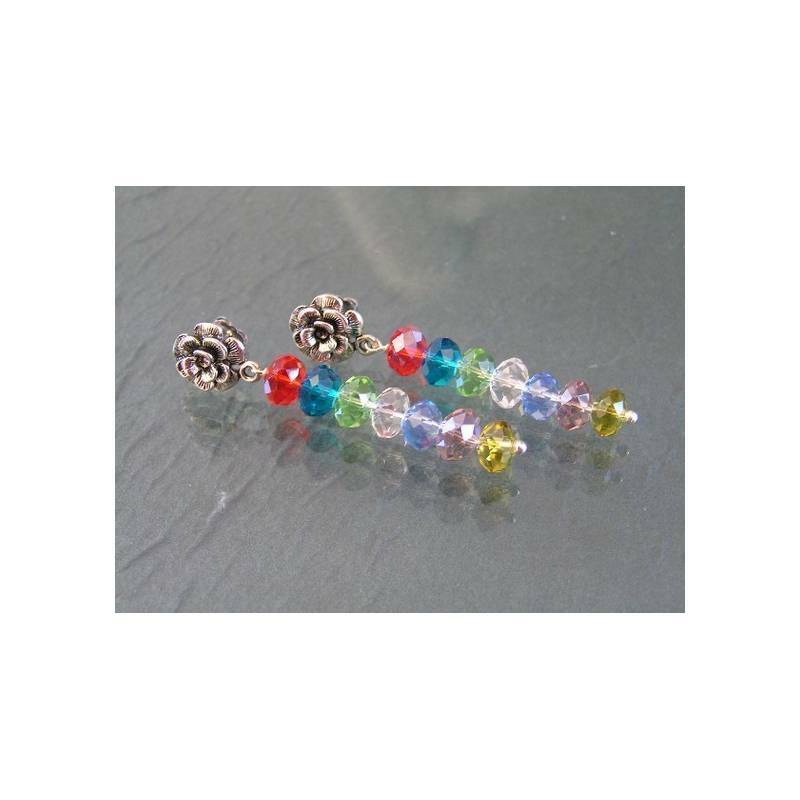 Dangling from my favorite rose ear studs, these earrings measure 55mm in length. All metal parts are silver tone. 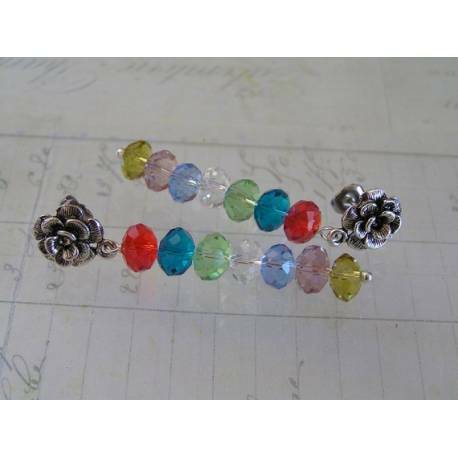 Different colours are available and I also have lovely flower studs in antique brass.